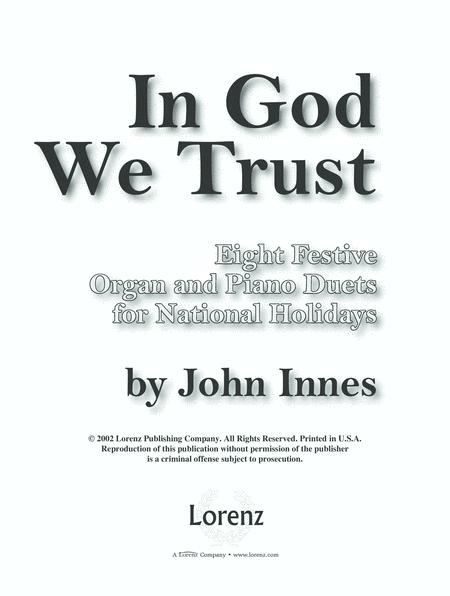 Eight Festive Organ and Piano Duets for National Holidays. Composed by John Innes. Sacred, General, Patriotic. Church Organ and Piano Duet. 64 pages. Lorenz Publishing Company #70/1376L. Published by Lorenz Publishing Company (LX.70-1376L). 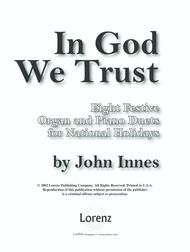 This volume of eight ebullient arrangements for organ and piano duet will solve the repertoire dilemma in finding special music for festive national holidays. Here you will find appropriate selections for Memorial Day, July 4th, Thanksgiving, or any special patriotic community or church celebration on your calendar of events. And all with the artistry of John Innes, a master craftsman for this medium. Two copies are needed for performance.